On 17 September 1892, Arthur Bayley rode into Southern Cross, deposited 554 ounces of gold with the mining warden, and started the richest goldrush in Australian history. 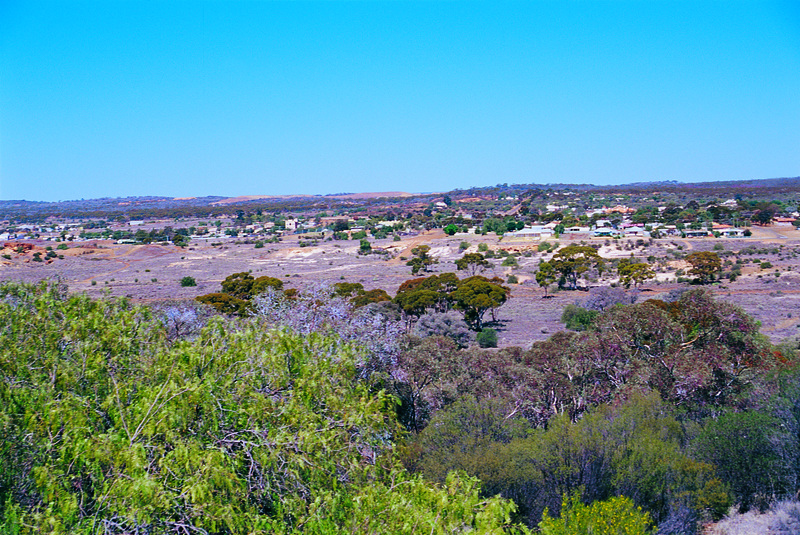 Bayley and his partner William Ford had found the gold 190 km to the east, at a place called Fly Flat, just outside of the present town of Coolgardie. Within hours of hearing the news, men were on their way. Over the next few years they were joined by thousands from the eastern colonies and from as far afield as New Zealand, the United Kingdom, United States, South Africa, Afghanistan and China. 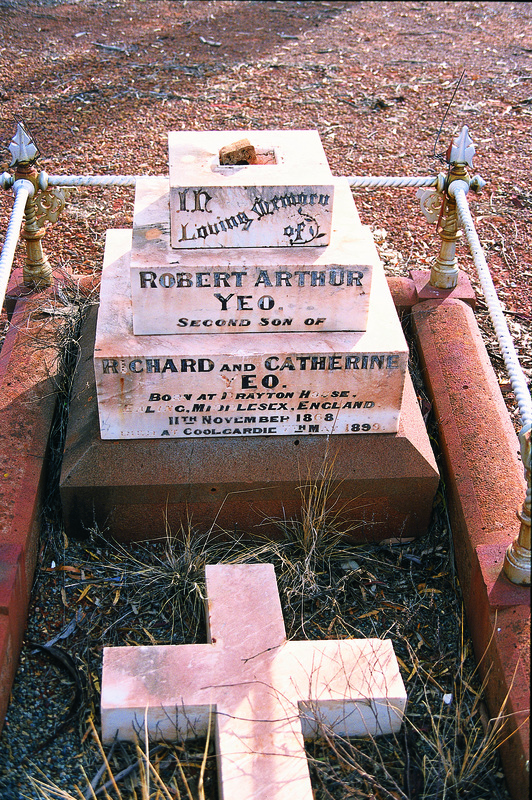 By 1898 Coolgardie was the third-largest town in Western Australia (after Perth and Fremantle). It had a population of 15 000 with another 10 000 living in the surrounding region. 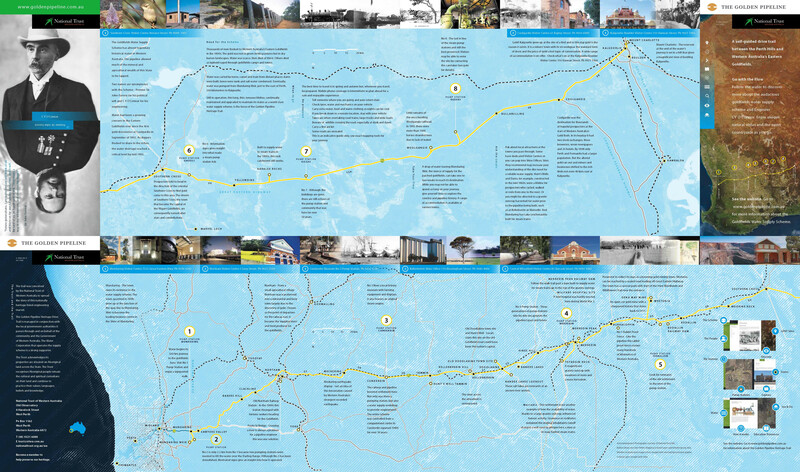 The town had 26 hotels, 7 newspapers, 2 stock exchanges, 2 clubs, 3 breweries, 1 refrigeration works (the only one outside Perth), 53 mining engineers, 39 storekeepers, 19 builders, 17 hairdressers, 14 boot and shoe stores, 17 lawyers, 14 doctors, 13 dentists, 6 drapers, 6 banks, 5 timber yards, 2 sawmills and six water supply companies. But then the alluvial gold ran out and there was little to be found deeper in the ground. 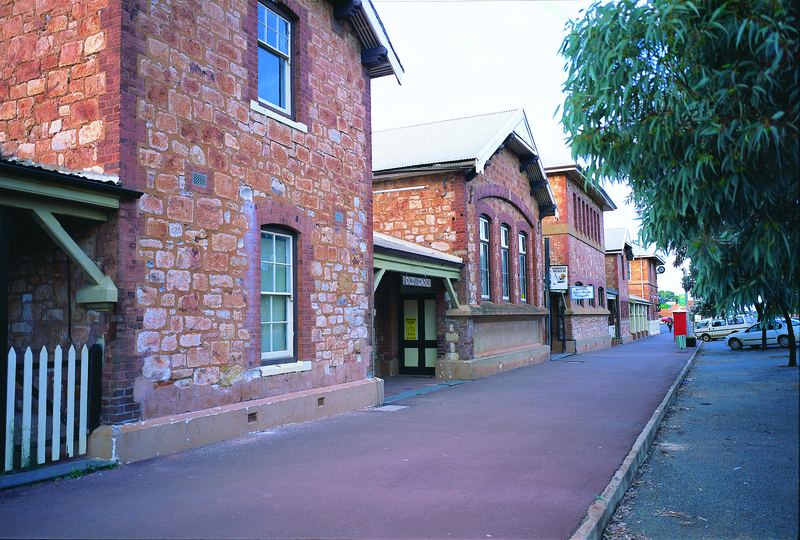 Both the miners and the businesses left, attracted by the rich finds at Kalgoorlie. 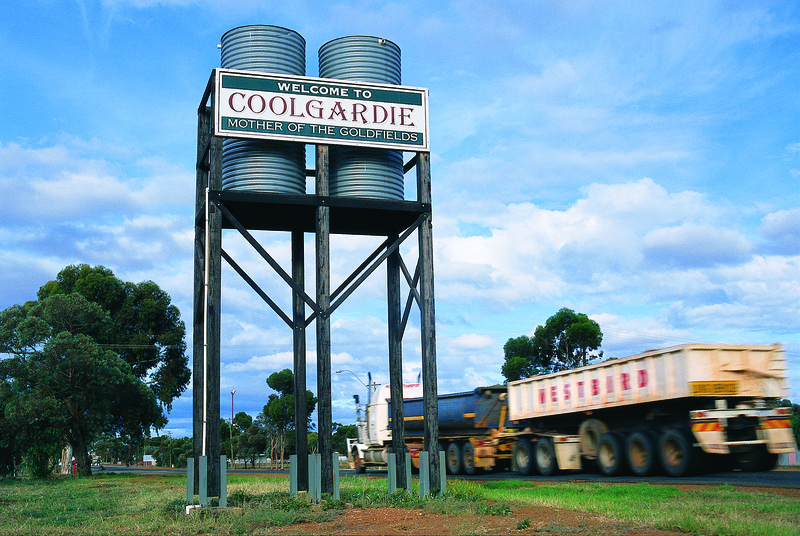 Coolgardie went into decline. It may no longer be the bustling, heady mining town it once was, filled with people and gossip, tales tall and true, but the reminders of those times are all around. There are the imposing nineteenth century stone buildings – the offices, banks, clubs and hotels. And there is the town’s main street, Bayley Street, still wide enough for a camel train to turn around. 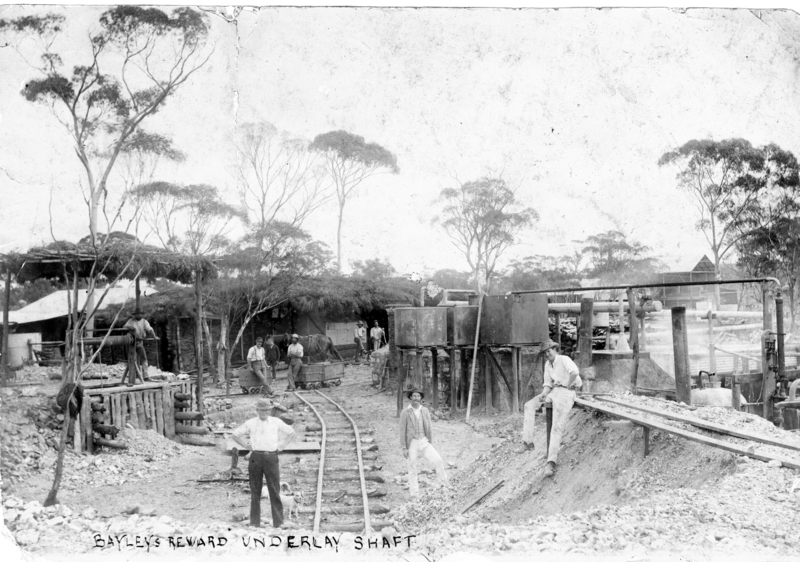 The original mine at Bayley’s Reward continued to produce gold until 1963, by which time over half a million ounces of gold had been taken from it. 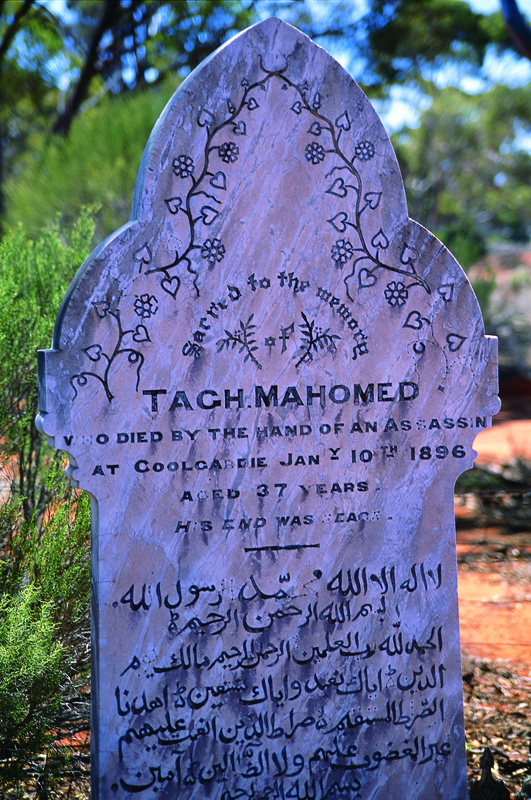 Its not surprising, with its history, that many in Coolgardie refer to their town as the ‘Mother of the Goldfields’.